The premises are prominently situated in a commercial retail parade fronting onto Queens Drive close to the Childwall Fiveways roundabout. Liverpool City Centre is situated approximately 3 miles to the east. 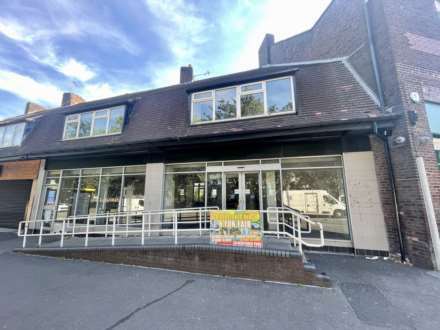 The subject property comprises first floor accommodation forming part of the well established commercial district fronting on to Allerton Road close to its junction with Wembley Road. The premises are situated on East Prescot Road at the junction with Back Dovecot Place, approximately 6 miles east of Liverpool City Centre. The immediate surrounding area comprises of residential housing and a number of commercial premises fronting onto East Prescot Road. The property is located close to the junction of North John Street and Harrington Street in Liverpool city centre. North John Street is a busy main carriageway carrying a high volume of city centre traffic. The property is located fronting on to the central roundabout of Cross Green, which connects to Liverpool Road (B5424) Duke Street and Altcar Road.